Our expert office cleaning service gives your place of business a clean, professional look that will impress your clients and will assure a fresh and productive working environment for your employees. 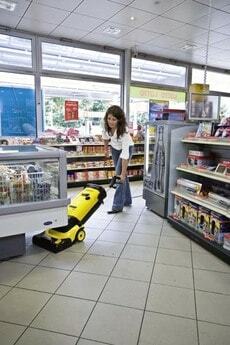 We train our staff to clean with a consistent attention to detail. That way, we can give you the same high quality service every time. Whether you require your commercial space to be cleaned on a daily, weekly or bi-weekly basis, Handy Heroes will ensure that our professional cleaning staff will leave your venue sparkling clean. We can clean at the beginning, at the end of the working day or out of the working schedule in order to provide a non-hassle service. At Handy Heroes we have the capacity to clean any size job. Our crews can work on weekends or evenings to accommodate any timetable. We can schedule the service either before or during your office hours. Weekly, bi-weekly or monthly schedules are available. We can tailor the service to meet your particular needs. Our basic office cleaning package includes the following details.